At the end of last month we became aware of a new drug that could potentially hit the market, if approved by the FDA, which has a number of officials concerned about the dangers that will be associated with it. Known as “super painkillers”, there are currently four of these new drugs currently being tested by pharmaceutical companies. 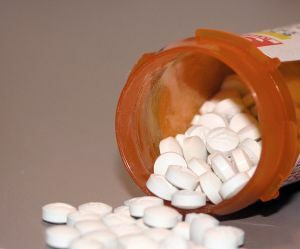 These drugs, one of which is being called Zohydro, contain a more powerful version of hydrocodone, one of the country’s most abused painkillers, the Associated Press reports. One state official who is deeply concerned is New York Senator Charles Schumer; he is warning the Food and Drug Administration (FDA) against approving the new “super painkillers.” Recently in the state of New York there were two pharmacy robberies that left 6 people dead, reinforcing the fact that there is serious epidemic regarding prescription opiate abuse in this country and people will do just about anything to get their hands on them. “It’s tremendously concerning that at the same time policymakers and law enforcement professionals are waging a war on the growing prescription drug crisis, new super-drugs could well be on their way, flooding the market,” Senator Schumer said. “The FDA needs to grab the reins and slow down the stampede to introduce these powerful narcotics.” He said these new drugs would become very valuable on the black market. As of right now drugs that contain the opioid hydrocodone also have non narcotic pain relievers like Acetaminophen mixed in. The new drugs are pure hydrocodone, and contain up to 10 times the amount found in Vicodin. Hopefully, state officials will be able to dissuade the FDA from approving these new “super painkillers”, drugs that will certainly result in the loss of life for a number of people if released on the market.